It appears that we are close to the finale of this first arc and it feels nice that I have warmed up to it in just four issues. This fourth issue is enjoyable and definitely fits into the theme of the series as a whole. However, the problem with that is that this series is still my least favorite of the Archie Horror comics and this issue shows me why. Despite some awesome vampire killing and a badass vampire Veronica, this issue lacks any real substance. Unfortunately, that is to be expected when the writers attempt to do a lot in only 20 pages. Veronica, Dilton, and Archie crash Cheryl’s party which has already been crashed by vampires. It seems a little odd to me that Veronica’s vampire parents and the evil vampire Ivan had the master plan of taking over by crashing a teen pool party. I know that they explained that it was because of something along the lines of recruiting young people for their army. This could have been done more effectively at a school or something, but they chose a pool party for the sake of teen drama. 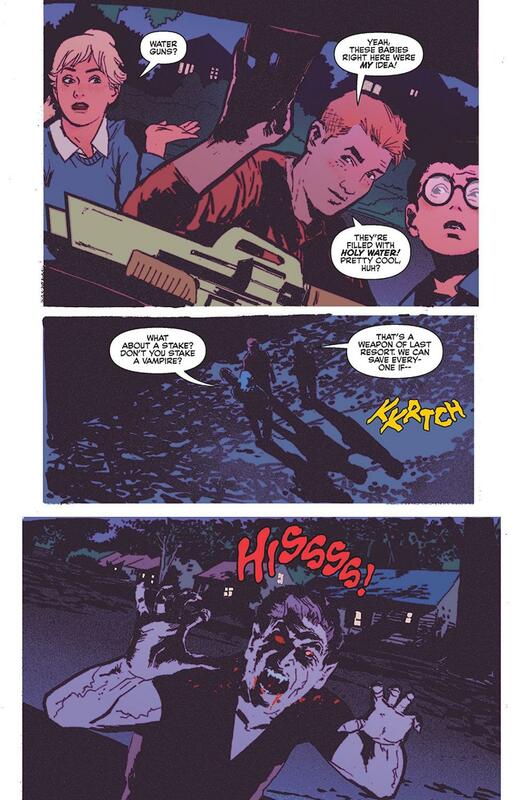 This is an example of why I don’t just love this series as much as the other Archie Horror series. The others are packed full of cheesy horror tropes but it never feels stale or forced because the writing doesn’t rely on them. 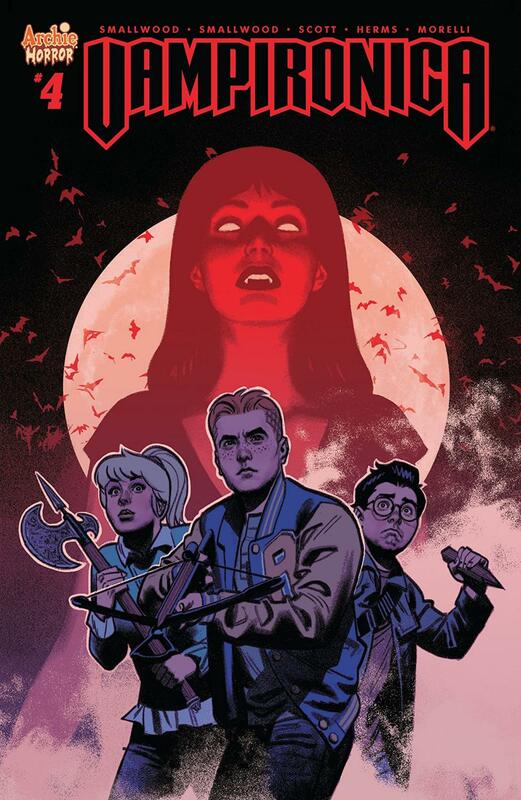 There is so much shocking, gory, dramatic, and exciting storytelling in the other Archie Horror series that the tropes are just there to give it a nice classic feel. 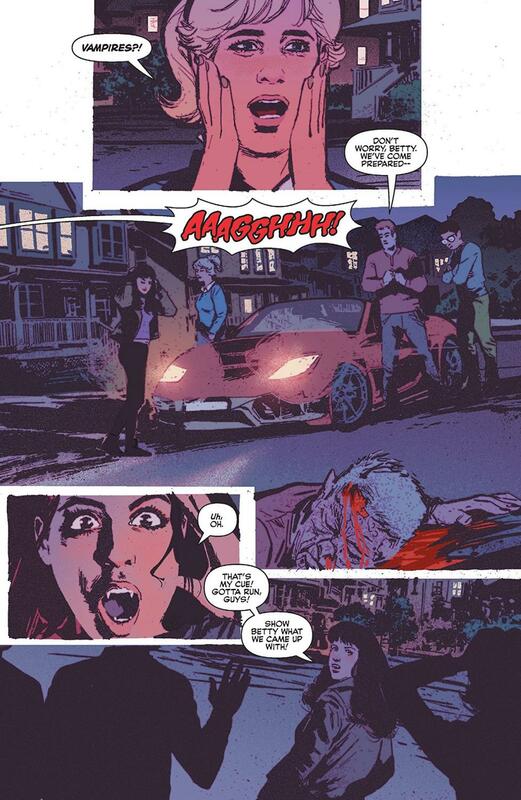 Vampironica doesn’t deliver anything shocking and only has a sliver of drama and excitement, but it is just never enough to make the story unique. This entire, very short issue is basically just “pool party attacked by vampires and main character and friend fight them” and then it’s over. This feels like such a waste with what could have been done with these characters in this particular story. The fact that this issue is a disappointment to me is especially tragic because of how many setbacks the series faces. We have had to wait a while for issues and when I have to wait longer than the usual time for a new release I expect it to come back strong, not continue to get weaker. The very small thing that kept me from being too negative about the issue is Jughead’s few really short hilarious moments. His constant hunger will never not be funny to me as long as Archie Comics is around. Throwing that bit into this horror issue a few times worked so well especially because of how perfect the timing of them were. 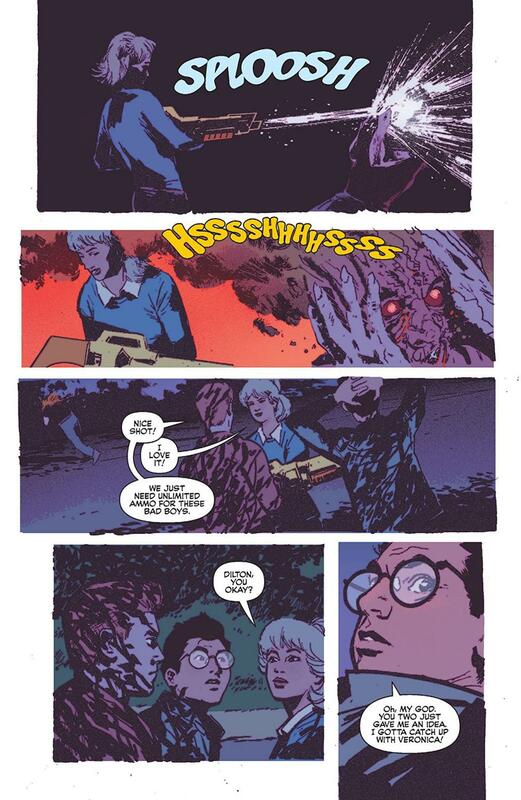 The tiny bit of Jughead isn’t enough to save the issue from being a brief and uninspiring build up to the finale. There isn’t much here in this fourth issue which makes the series continue to be the weakest of the Archie Horror series. This issue doesn’t take a single risk with it’s storytelling and the end product is a short and boring one.